Includes wrench to hold handles and adjust mandrels. Ergonomic tool, made of steel with non-slip handle. Comes with 5 threaded mandrels M3, M4, M5, M6, M8. Threaded mandrel, durable, single hand operation, labor saving. This nut rivet tool is suitable to be used in car, trailers, and furniture repair, or even boat building. 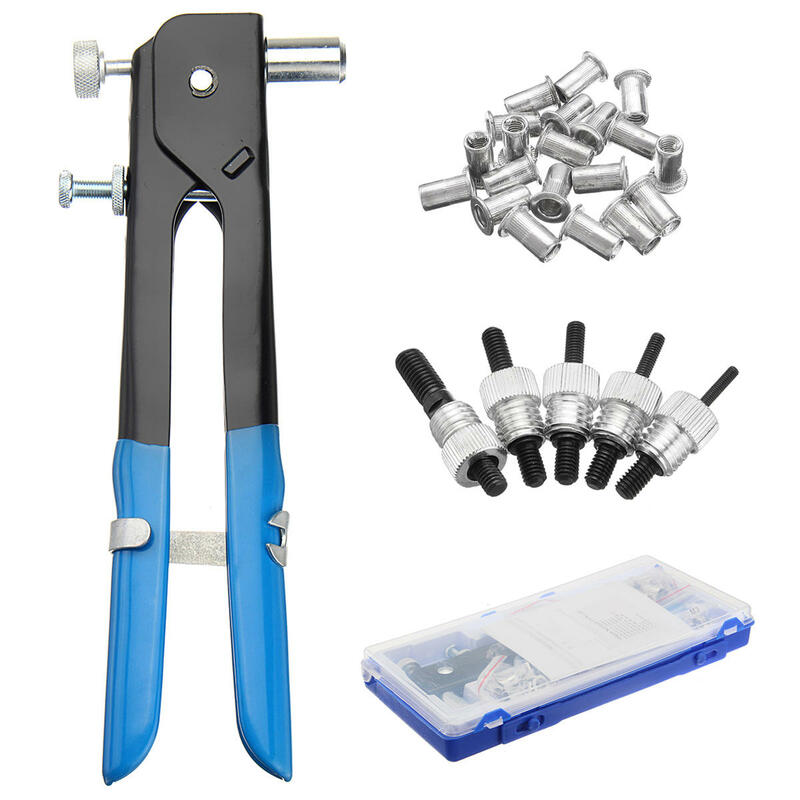 Also for repairing tools and farm equipment, it is an universal tool in the home and workshop. The rivet tool is ideally used for aluminium blind nut rivets.